신석기시대 사람이 버린 각종 생활 쓰레기와 조개껍질이 쌓여 이루어진 동삼동패총은 우리나라 신석기시대를 대표하는 패총 유적이다. 1929년 일제강점기에 처음 발견된 이래 2015년까지 국립중앙박물관과 부산박물관 등 여러 기관에서 10여 차례 발굴조사를 실시하였다. 발굴조사 결과 동삼동패총은 기원전 5,500년 무렵부터 기원전 2,000년까지 오랜 기간에 걸쳐 형성되었으며, 패총뿐만 아니라 독무덤〔옹관묘〕, 주거지, 화덕자리 등 각종 생활 시설물을 포함하는 대규모 복합 유적임이 밝혀졌다. 동삼동패총은 퇴적 층위와 유물의 성격에 따라 크게 초기에서 말기까지 5개 문화층으로 구분되며, 각 문화층에서는 다양한 형식의 빗살무늬토기와 석기, 골각기, 패기〔貝器〕, 장신구, 의례구를 비롯하여 일본 규슈〔九州〕산 흑요석과 조몬〔繩文〕토기 등이 출토되었다. 이밖에 신석기시대 생업형태와 식생활을 알 수 있는 고래, 호랑이, 멧돼지, 사슴, 어패류 등 각종 동물 유체와 조, 기장 등이 확인되었는데, 특히 1호 주거지에서 출토된 조와 기장은 신석기시대 잡곡 농경을 증명하는 중요한 자료이다. 동삼동패총은 남해안지역 신석기문화의 특징과 변천과정을 이해하는데 많은 정보를 제공하며, 이른 시기부터 해양 활동을 통해 일본 규슈〔九州〕지역까지 교류했음을 보여 준다는 점에서 역사적 가치가 높은 유적이다. The shell mound was formed in the Prehistoric Age by the waste shells that piled up after being thrown away by local inhabitants after eating shellfish. Through it, we can see something of the living pattern of the age. 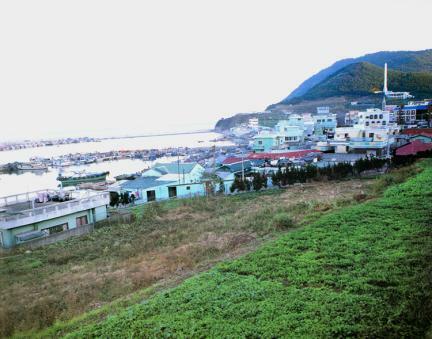 The site is located on a hill slope near the seashore in Dongsam-dong. It shows earth layers piled up over a long time through the duration of the New Stone Age. 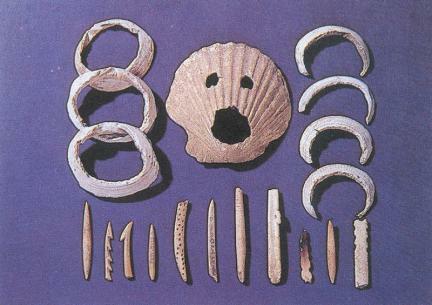 It consists of five layers, and as well as shells, farming tools, everyday necessities like stoneware, and animal bones were also found here. Excavation of primitive pattern-less pottery and pottery with comb patterns, typical of the New Stone Age, has contributed greatly to the study of the cultural state and the lifestyle of the time.